Jan here, privileged to welcome Beth Vogt to Seekerville today! Beth's new release, Things I Never Told You, is a fascinating book filled with unforgettable characters. As the story unfolds we learn the depth of the tragedy that happened the night Pepper Thatcher died. I won't give away the ending for you, but this book will have you examining your own family relationships and how one person's faith can make all the difference in the world. So let's give Beth a warm Seekerville welcome! I often joke about hanging out with imaginary characters. I’m a novelist—it comes with the job description. I write books filled with made-up people. But sometimes real people end up in my novels—and I’m not referring to my main characters crossing paths with a well-known public figure, either. No, I take someone I know and add them to my cast of characters. But in Things I Never Told You, which just released from Tyndale House on May 8, I did something a little different. My main character, Payton Thatcher, played volleyball with her identical twin sister, Pepper, in high school. And when I bring now-adult Payton back to the volleyball court, I needed a coach and a team. A couple of the girls whom readers meet on the team? 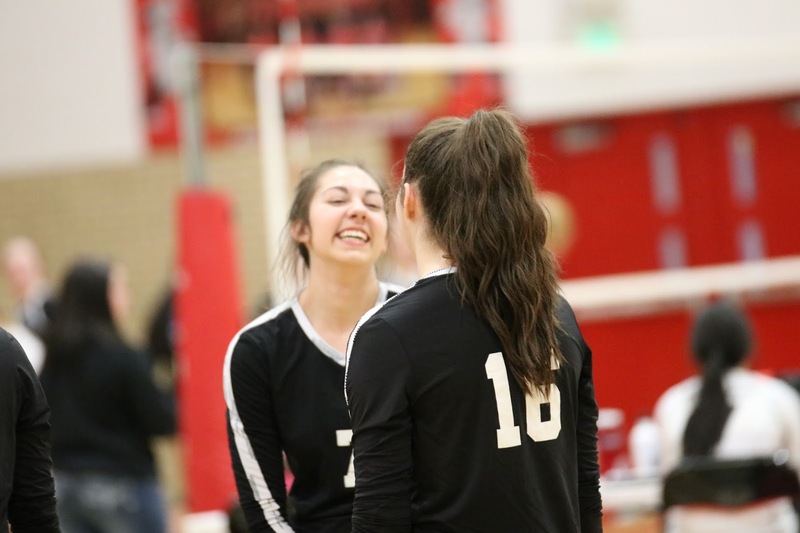 They were named after some of my daughter’s closest friends on the volleyball court: Chandler and Katelyn. And the coach in Things I Never Told You? I named her Sydney—after the young woman who coached my daughter for three years in club volleyball. Yes, I needed a name for my imaginary volleyball coach, but I also intentionally modeled the fictional coach Sydney after the real-life coach, Sydney Nelson. 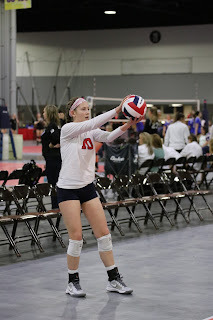 And I didn’t have to make any of that up because I’d seen it all lived out in Sydney Nelson as she coached my daughter. Beth K. Vogt is a nonfiction author and editor who said she’d never write fiction. She’s the wife of an Air Force family physician (now in solo practice) who said she’d never marry a doctor—or anyone in the military. She’s a mom of four who said she’d never have kids. Now Beth believes God’s best often waits behind doors marked Never. 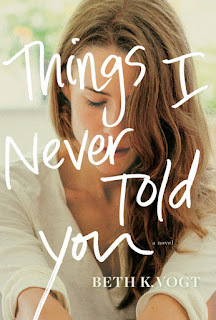 Things I Never Told You, releasing May 2018, is Beth’s first novel in her women’s fiction series for Tyndale House Publishers. 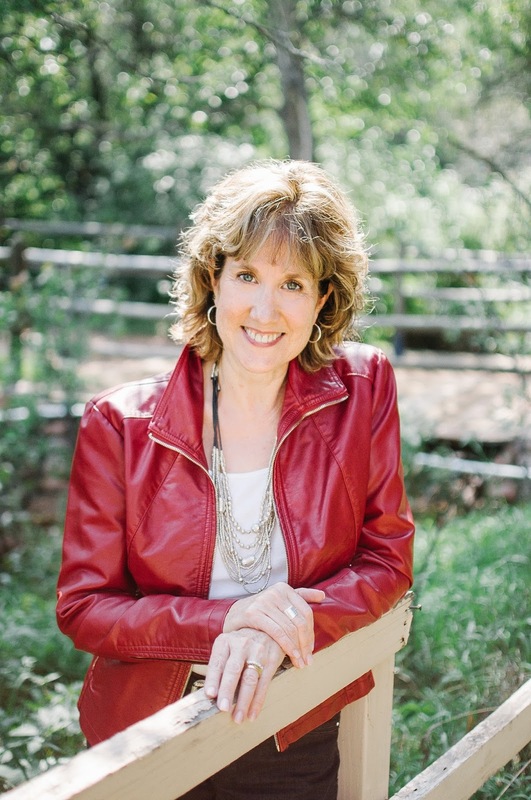 An established magazine writer and former editor of the leadership magazine for MOPS International, Beth blogs for Novel Rocket and also enjoys speaking to writers’ groups and mentoring other writers. 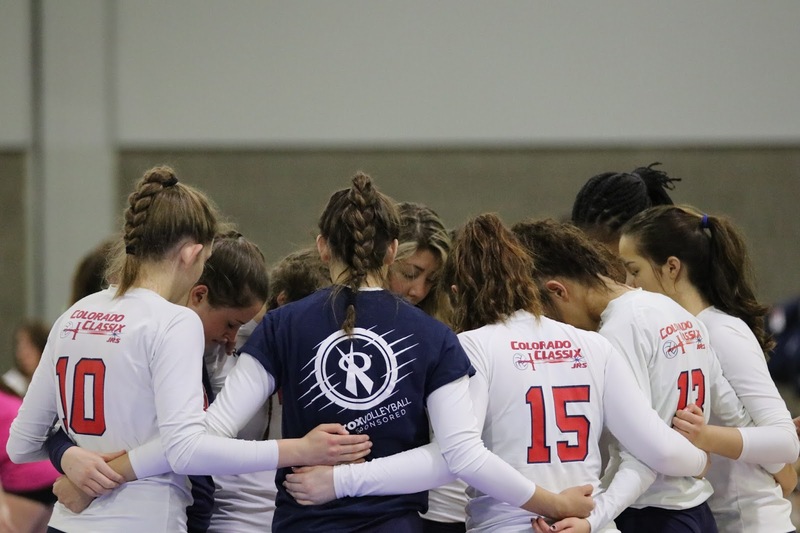 She lives in Colorado with her husband, Rob, who has adjusted to discussing the lives of imaginary people, and their youngest daughter, Christa, who loves to play volleyball and enjoys writing her own stories. Connect with Beth at bethvogt.com. I'm dying laughing here! :) The thought was there. Yeah, she still teases me when I see her. She'll be celebrating her 100th birthday this weekend!! She's the most precious lady. She recently sent me a letter telling me she just finished reading one of my books, The Guy Next Door, for the 4th time! Bless her. Happy Birthday to Talitha...100 years old! How amazing. God bless her! How did she get her name, Missy? Oh, my goodness, Missy -- poor Talitha got killed off by your editor! What a way to go! Debby, I’ll try to remember to ask her! I agree. That is one thing I'm not thrilled about is when characters just feel so wooden and rigid- and doesn't seem part of the story. Amy, you're right. It's a great way to add depth to characters. Hi, Crafting a fictional character from someone I knew did help me deepen the character. I knew what qualities I wanted to weave into my fictional volleyball coach because I'd seen them lived out in Christa's volleyball coach. I love when I learn a character is based on a real person. I then realize why the character seemed so real to me. Thank you so much for this post Beth. I hope you get a chance to read the book, Cindy! Beth wove the "real" people into the story seamlessly. Hi, Cindy -- I do hope readers find the characters more realistic because they are drawn from real life. And the story is also set in Colorado Springs and Denver -- in locals I know well. The volleyball angle? My daughter read my manuscript through to make certain I got it right. Welcome Beth. This book sounds like a must read. It is Wilani! Definitely is! Thank you all (waving at Jan and "Just Commonly") for being so encouraging about Things I Never Told You. Besides weaving real life people into the story, my heart is woven into to it. But I think this is true for so many authors. This sounds like such a good book! I look forward to reading it Beth! Hi Tiffany! It really is. I hope you'll get to read it soon! Thank you, Tiffany. I think a lot of readers can connect with the sisters angle -- and the complicated relationships angle of the story. There is also the theme of delayed grief and I deal with the topic of breast cancer, too. Welcome Beth! I'm a fan of Things I Never Told You, so this tidbit about naming characters after your daughter's friends and coach is great. I love that your characters do come to life for me. Thank you for dropping by Seekerville! Hi, Just Commonly -- I am so intrigued by your name. ;) And thank you for your encouragement about Things I Never Told You. It means a lot. Thanks Beth! Just Commonly is because I'm just commonly me...hahahah. That really doesn't explain much, does it? Grief is a hard topic to touch, I think, because mainly there are so many ways it can manifest into. Psychological terms, the 5 stages, but it's not always so rigidly logical, is it? So thank you for writing a story that gives readers a sense of how grief can take over, and how relationships are affect, and the hope that there's a tomorrow. I like using people to populate my books, too. Sometimes with their names, sometimes with other names, but it's fun to take those influencers and give them a chance to shine. The book sounds like a beautiful story. And huge thanks to Jan for hosting you today! Ruthy, you mentioned using people without using their names. Sometimes I take personality traits of different people and mix them into my characters. Ruth: Yes, sometimes I weave personality traits (quirks) into a character, too. One heroine in a previous novel I wrote loved to eat Hot Tamales --that came straight from me! Another hero dealt with vertigo -- well, I dealt with vertigo for 3 years. My hero was a pilot and having a pilot battle vertigo was tough. O yes! I love seeing people I know in the books! I was a sassy one in one of Julie Lessman's. HAHHHAHAHAH. BETH.... *squish* So happy to see you here! Congratulations on the release of Things I Never Told You. I cannot wait to read this! Such a fun post. Sometimes, as I go for my afternoon walk around our little country cemetery (no worries - it's not scary) I like studying the headstones. There are tons of unique names inherent to the region and the generations that lived here. I often carry a little notepad in my pocket so I can jot down ideas. Thanks so much for sharing and I love your photos! I love cemetery jaunts too, Cynthia! I've gotten some great ideas! Cynthia: Hugs to you, dear friend! And yes, I'm intrigued by headstones. And all sorts of signs -- and interesting names of waiters or waitresses ... it's good to be observant when you are an author, isn't it? Beth, I love the idea of naming characters after people we know and infusing them with values and personality traits of that person. I have a lovely auntie and I've used some of her personality in one of my characters. I haven't told her yet, though. And, I sure hope someone doesn't suggest killing of my darling aunt! Your new book sounds delightful. Thanks for sharing your tips for embedding real people into our manuscripts! I have a character in my Feb 2019 release that is a combination of three little girls I know. When I told their parents, all three families were flattered, but all three said something like, "That's a wild combination!" But she turned out to be a great character! What fun, Jan. Love the idea of combining personalities--a sure way to create a dynamic character! Kathryn: I'm smiling now! In one novel wrote (Somebody Like You) I had brothers and I used the names of two brothers I know from a friend who is my sister-of-the-heart. Anyone, one brother died. The one guy never let me forget that, even though he died heroically. Good morning, Beth, and welcome to Seekerville. Ya know, though my characters are sometimes based on real people, I'm always afraid to use their real names. Probably because I worry that person might read it, find something unflattering and say, "Hey, was that me?" Of course, I suppose I could always ask their permission. So glad you could join us today. Hi, Mindy: Miss seeing you face-to-face, my friend! I sometimes ask people before I use their name and sometimes I surprise them. One friend's name was tucked into Things I Never Told You as a surprise and when she read the book she texted me in tears -- happy tears -- saying she had to stop and reread the scene when she found her name. Hi, Beth! And welcome to Seekerville! I love the way you describe your book as Little Women gone wrong with a This Is Us feel. I've never watched This Is Us, but I love Little Women, and I can see that "gone wrong" aspect! Hi, Jan: There were so many things I loved about writing this book -- even the challenges. But one interesting aspect was writing a book where the main characters are not believers -- and then figuring out how I was going to weave in the spiritual element of the book. Hi, Carrie: I hope you have fun with the Thatcher sisters! Beth, I'm an Army wife and love our military heroes. Please thank your husband for his service to our country! I know you're proud of your daughter. How fun for her friends to be included in your story. The coach sounds like an amazing young woman and a good character for your book. As some have mentioned, I mix traits from folks I know when I create characters. Congrats on your success! Thanks for being with us today! Sending you a hug,Debby -- from one (former) military wife to another. Several of my previous books have had military angles to them. And there is a small military thread in Things I Never Told You. Thank you to your family for your service to our country -- because it is the entire family who sacrifices. Beth, this book sounds like a must read! I have read 3 of your books and loved them. Thanks for your giveaway here! Count me in! Hi, Jackie! It's always fun to connect with readers -- I hope you like meeting the Thatcher sisters, too! I love this! I've named some characters after friends and family members, but I don't know that I've patterned any characters after real people...though I do have several characters from real history have 'walk on' roles in my stories. You make me laugh, Erica! Love that, Erica! All my heroes have some of my husband's characteristics, too. And my husband always reads my manuscripts to make sure my guys sound like real guys -- he gives me great feedback. He is a family physician, so he is my go-to medical reference, too. If you have real people in your fictional world and fictional people in your real world, can you avoid the temptation to edit their lives? Has your daughter ever complained that 'she's not one of your characters'? Also, do you still take efforts not to make your character names confuse the reader? I like first names that don't start with the same letter or are too similar. Two major characters named Richard and Robert drove me nuts trying to remember which was which. I asked the author why she did this and she was very proud in that she got the similarity in names by her editor! Why did she do it? The characters demanded those names! They would not let her change the names! That's a little too real for me. I'm now reading two books in which the heroines have names that are usually a man's name. This is driving me nuts because the use of pronouns seems wrong and it jars me out of the story. Why do this to readers? The heroine names are Sam and Drew (all the Drews I've known have been Andrews and men). At the start of the book, when you don't know the characters, and they just use pronouns, like him and her, this confusion can be quite annoying. Of course, this is no problem for the author: she knows these characters personally and cannot read the book as a new reader to the story. Vince, I'm sitting in an airport trying not to laugh out loud as I read your comment. You really have me thinking about a lot of things. How do I not edit people's lives? I'm a mom -- it comes with the territory. You learn through the years when to say something and when to stay quiet. And yes, I am very careful about not confusing readers with my names -- with the main characters' names leading out and determining the other characters' names. My VA also keeps a list of all (and I do mean ALL) the names I've ever used in the books I've written to prevent reusing them. Hi, Anne: So good to see you hear and I do hope to see you again face to face one day. Hugs, my friend! Hi Beth! Your book really hit home with me. It was one of those "thank you for ripping out my heart" experiences. Fiction that challenges us is a beautiful gift. Thank you, truly, for sharing this story! Hi, Beth (we're name-twins) -- If it is any comfort to you, writing the book ripped my heart out several times, too. Hugs! Erica: Yes -- I came after the April blizzard!!! I VERY LOOSELY based some characters on my sister and me. After reading it, she said, "I would never root for Mississppi." She's a Bama fan. :-) I reminded her that the characters were mostly fiction. Ha! Hi, Amy: Lesson learn: never, ever mess with a person's football team! Welcome, Beth! This is a great post. In my first book, I modeled one of my characters after a younger version of my now 92 year-old aunt. She was thrilled when she read it. Congratulations on your book. I'm dying to read it! Beth, it’s tough to let them go off to college! I just went and moved my college daughter home for the summer. I’m so glad to have her home! Spent the whole day with her today. :) I hope your daughter finds the perfect school! 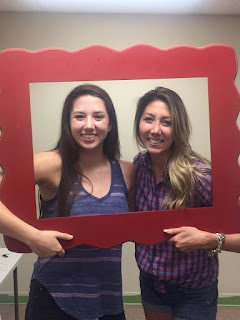 Hi, Missy: This coming year is Christa's senior year, so I'm looking forward to that. She wants to play volleyball in college, which is why we are visiting colleges now. Things I Never Told You sounds like a book I need to read! :) I enjoyed reading this post, and can't wait read the book. Hi Beth. I enjoyed this post and I look forward to reading this syost. Hi, Connie: Thanks for taking the time to let me know -- it's encouraging! I love it!!! And I loved when I found it!! Totally want to do this in my books! Ah, Tari, my "page 144" friend. Love you! I have been working all day, so I haven't been able to get on Seekerville. I will have to read the post later, but I would like to be entered in the drawing for your book! Hi, Sandy: I understand how busy schedules interfere with blog post reading! Thanks for sharing your real life inspirations! Looking forward to to your new book. MJSH: Thanks for the encouragement! It truly makes a difference to me as I start writing book 3 in the Thatcher Sisters Series!